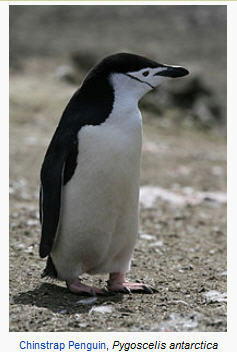 Yesterday, I talked about woodpeckers and swifts…today my inspiration is penguins. As we work with future faculty in GRAD-602, I am struck with the notion that many of them do not want to make mistakes. Yet, in my own teaching, I like to experiment. Experiments mean trying new things…and sometimes, new things means that I make mistakes. When I do, I try to learn from them and – like penguins – I simply get up, shake myself off, and try again. Day 17 – How might I approach teaching like a penguin? 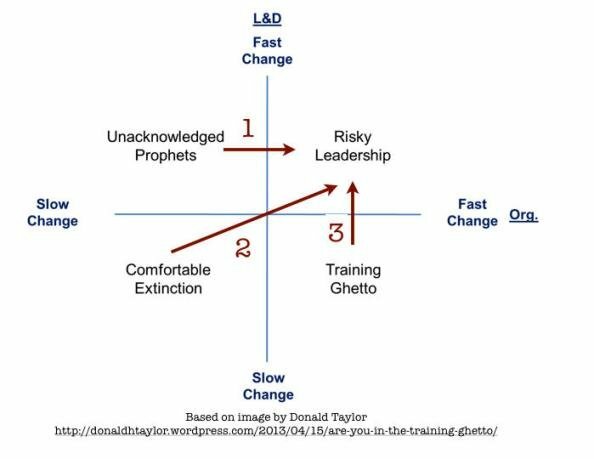 I would like to think that we have occupied the risky quadrant for the past five years, issuing our white paper on online teaching, rolling out our Online Course Development Initiative, and experimenting with iPads, digital storytelling, and online faculty development. The academic environment in which our future faculty members will live and grow is quite possibly going to be very different – and risky – from the academic environment in which I have worked for the past two decades. Learning to simply get up, shake themselves off, and try it again will be the norm. And that can be quite exciting! Garr shared a great video in his post, so I am replicating that here. Enjoy! Once again you show your keen ability to connect the dots across a range of sources ideas…that surface new ideas and questions. There are also other layers here that have helped me to understand other things I’m thinking through…so thanks for the post! Thanks, Jeff. Some of the dots are still fuzzy…but I am trying!